Assad's adviser claims that Israel is sending fighters and officers to help the rebels fighting to oust Assad. The Syrian regime on Monday accused Israel of being involved in the ongoing fighting in the country, Kol Yisrael radio reports. Bouthaina Shaaban, political and media adviser to Syrian President Bashar Al-Assad, claimed that Israel was sending fighters to help the rebels fighting to oust Assad. Speaking to the Lebanese Al-Mayadeen network, which is affiliated with Hezbollah, Shaaban said that Damascus has information indicating that there were undercover agents among the wounded Syrians recently treated by Israel. She further claimed that Israeli officers are operating in Syria and monitoring the fighting in the war-torn country. Shaaban also said, in reference to last week’s airstrike near the Syria-Lebanon border that was attributed to Israel, that Israel is using weapons shipments as an excuse to attack Syria and Lebanon. This is not the first time that Syria has accused Israel of taking part in the war in the country, despite Israel having more than once clarified that it is not a part of the war and that it does not take sides in the fighting. Assad himself told an Argentinean newspaper a few months ago that Israel is assisting the rebels fighting to topple his regime. “Israel is directly supporting the terrorist groups in two ways,” he claimed. “Firstly it gives them logistical support, and it also tells them what sites to attack and how to attack them." 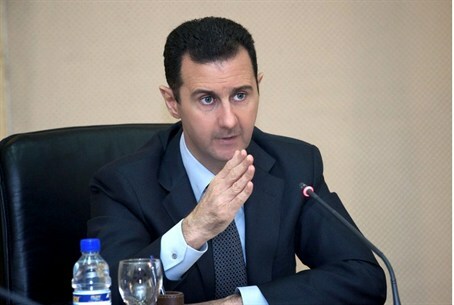 The Syrian opposition, however, has claimed the exact opposite, that Israel was collaborating with Iran and Hezbollah to keep Assad in power. Last week’s airstrike along the Syria-Lebanon border reportedly targeted missiles that are able to carry warheads heavier and more dangerous than almost all of Hezbollah's current massive arsenal. A day later, an unnamed official told Time magazine that Israel was behind the airstrike.